The word “Team” is key in describing our staff. Job descriptions are blurred in our office. 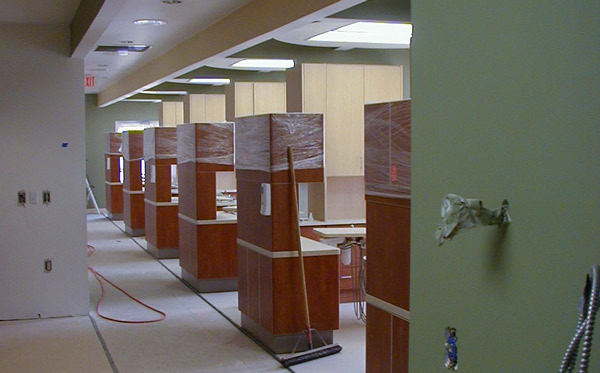 Each member of our team is cross-trained to handle multiple duties. This is done to provide uncompromised care to our patients. You may notice how each member of the team is willing and able to help another team member. We strive to stay abreast of the most modern accepted and approved procedures in the field of dentistry. 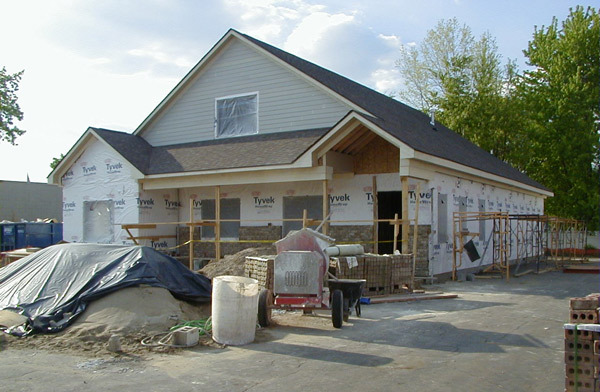 We accomplish this by extensive participation in continuing education courses. Each team member is included in furthering their knowledge in their field. World-renown experts give many of these courses. This knowledge is used when we provide our patients with the high-quality care they expect and deserve. In addition, each team member is trained in CPR. 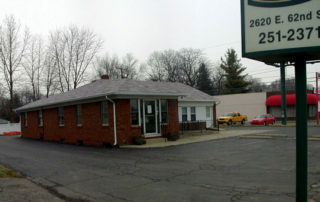 Dr. Alexander is a life-long resident of Indianapolis. All of his early schooling was done in the Lawrence Township school system. After receiving a degree in Biology from Indiana University’s Bloomington campus, Dr. Alexander continued his education at Indiana University School of Dentistry in Indianapolis. He received his Doctorate of Dental Surgery in 1993. Professional affiliations include membership in the American Dental Association, the Indiana Dental Association, and the Indianapolis District Dental Society where he currently serves on the Peer Review Committee. He was a charter member of the Indianapolis Study Club. 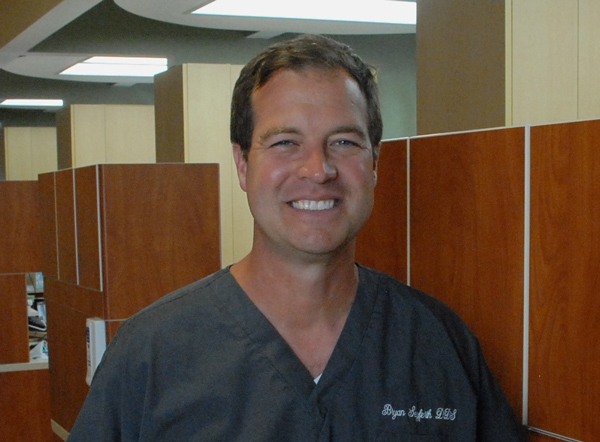 Dr. Bryan Seyferth has been a resident of central Indiana for his entire life. He grew up in Greenwood and graduated from Whiteland Community High School. His undergraduate training was at Indiana University in Bloomington, where he received a Bachelor of Science (BS) degree in Medical Technology. His training then took him to Indiana University-Purdue University at Indianapolis (IUPUI) to complete a Master of Science (MS) degree in Pathology. During graduate school, he worked at Indiana University Hospital and James Whitcomb Riley Hospital for Children as a laboratory technician. These early experiences laid the foundation for his doctoral training at the Indiana University School of Dentistry, where he received a Doctor of Dental Surgery (DDS). Dr. Seyferth joined Glendale Family Dentistry in 2003 and is an Indiana board certified general dentist. Dr. Seyferth is an active member of the American and Indiana Dental Associations, and the Indianapolis District Dental Society where he served on the Peer Review Committee for several years. Dr. Seyferth’s extensive training and continued participation in advanced education provide patients with a detailed list of appropriate treatment options for their dental needs. You may view a hygienist as one who simply scrapes and polishes your teeth. Truth is, their role in your dental health is paramount. Without healthy gums, your overall oral health (and general body health) can be severely compromised. Although their focus is on the prevention of gum disease, much of their work involves the treatment of gum disease. 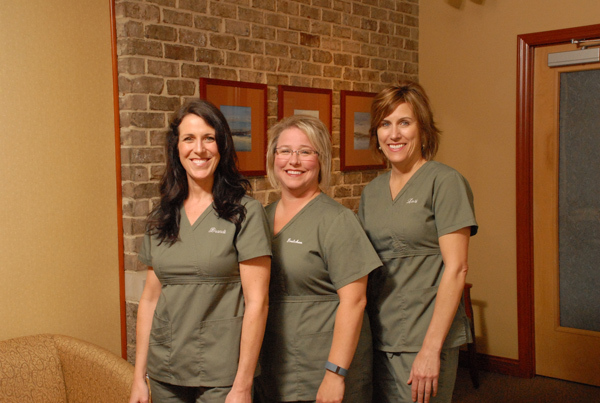 We have three full-time hygienists and several part-time hygienists. Each has years of experience in the field of dentistry. The knowledge and expertise they bring to our office is extensive and immeasurable. No matter who provides your care, you can rest assured knowing that the highest standards in the profession are being exceeded. Note: If you develop a preference for one particular hygienist, please let our business team know when scheduling your next appointment. I have been a hygienist in this practice since 1998. 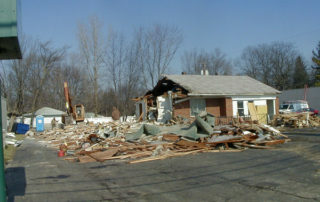 I am currently a resident of Fishers and was raised in Auburn and Monroeville, Indiana. Indiana University Fort Wayne is where I obtained my Hygiene degree. I also have a Bachelor’s degree in Biology as well as a local anesthesia license. Throughout my years of being a hygienist I have found that many of my patients have become great friends. I have watched many of our patients grow up and start families of their own. I love working with all patients but I have a special place for elderly patients and little kids. I am also a certified OSHA, CPR and Ethics trainer working with many dental offices throughout Indiana. In my free time, I can typically be found in a dance studio watching my daughter. Dogs have a large part of my heart, especially any dog that may be without a home. My family has been involved in antique cars for many years and I am likely to be found travelling around the Midwest at least a couple of times a year in one of them. My career and passion as a dental hygienist has spanned over 31 years. 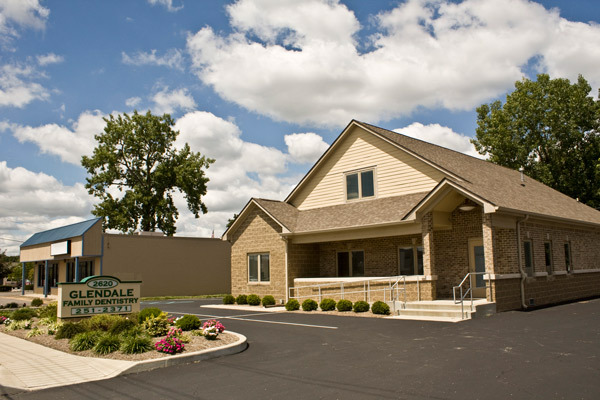 Since 2004, I have been here at Glendale Family Dentistry. It is truly a blessing and a privilege to call this office my family away from home. I have three amazing children ages 25, 21 and 19. They are my pride and joy! In my free time, I enjoy lake living, exercising, traveling and being social with friends. As for my background, I was born and raised in Nebraska. I am a graduate of the University of Nebraska. GO BIG RED! In between Nebraska and Indiana, I lived in Connecticut and Arizona. My latest interest that has been a special place in my heart is volunteering at Brooke’s Place. I spend time helping children transform grief into hope. My name is Katie Jo, I have had the pleasure of being a part of the Glendale Family since March 2017. I was born and raised in Arkansas, and I recently made Indianapolis my home this past year. I graduated from the University of Arkansas for Medical Sciences in 2015 with a Bachelor’s of Science in Dental Hygiene. In my free time I enjoy visiting my family, spending time with my fiancé, and doting on my two perfect dogs: Fynn and Bodie. One of the biggest reasons our doctors are great at what they do is due to the outstanding team members that support them. 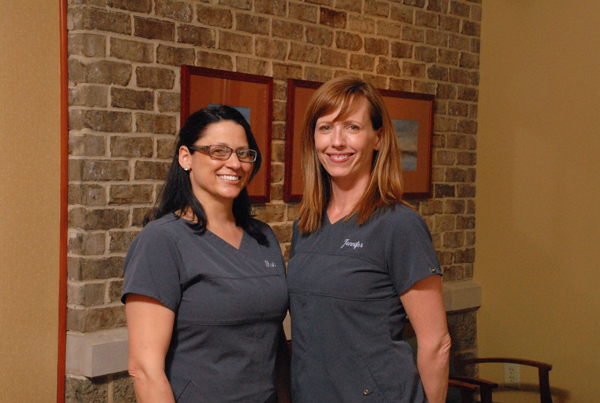 Our assistants are responsible for helping the doctors and hygienists provide smooth, efficient treatment. They set up treatment rooms with the supplies and instruments necessary for an appointment. At the conclusion of an appointment, they have the important responsibility of tearing down and disinfecting the treatment room. We have assistants that are “expanded duties” dental assistants. They have received training and certification that allows them to participate in your care. They are competent in taking radiographs (X-rays of your teeth), placing filling material and much more. Their knowledge of dental procedures is extensive. They can adequately answer many of your dental related questions. Of course, when necessary, the doctor is always available to answer your more in-depth questions. I am currently the newest member to the wonderful Glendale Family Dentistry team. I’ve been a dental assistant since 2016 and I am enjoying learning new things with my awesome co-workers every day! When I’m not helping improve smiles, the majority of my free time goes to my 2 beautiful daughters, Jada and Kennedi. We enjoy watching movies and reading books together. My name is Jennifer. I’m an expanded duties assistant. I have worked with Dr. Alexander since 1998. I really enjoy being a part of this great team! All of us take pride in helping each patient understand the care they are given. When I’m not busy with my son’s running events, you can catch me at a concert near or far. The members of our team that you first meet, whether on the phone or in our office, are our business team. They are your greatest resource of information of a business nature. They will assist you in scheduling appointments, discussing financial concerns (including insurance coverage) and listen attentively to your requests. If necessary, they will forward your questions or concerns to one of our doctors and assure a timely response. 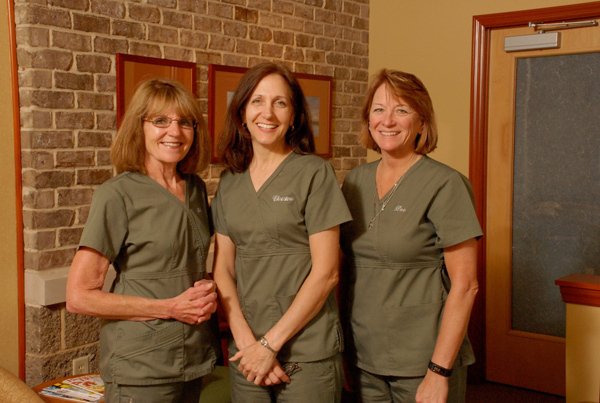 These team members have many years of experience in meeting patient needs. Their exceptional communication skills and genuine concern for you, our patient, make them an invaluable asset to our practice. I have worked in this office since September of 2015. I am a school teacher by education. When I was in high school, I worked part time as a receptionist in a dental office. I went to college to become a dental hygienist. But when I graduated, I came out a teacher instead. I worked as a classroom teacher until my second child was born. I continued to work in education for several more years before coming to work at Glendale Family Dentistry. I have lived in Indy all of my life. My husband and I have two grown children. We enjoy the outdoors and plant a large vegetable garden every year. Trivia Question: Do you know who I am related to in this office? Can you tell by looking at our photos? You might be able to notice a family resemblance. I am the office manager and have worked for Glendale Family Dentistry since 2005. I have worked in the dental field since my senior year of high school, starting out as a dental assistant. My husband, Mike, and I enjoy doing house projects, gardening and spending time with our families and our four grandchildren. I retired from the telephony industry after working 30 years. I took some time off to care for young grandchildren and to walk the Camino in Spain. I was lucky to meet Dr. Alexander in 2010 and he asked me to work for him as part of the general office staff. I love working here with such great patients and coworkers. I have an avid interest in World War II. I enjoy walking, reading and gardening. 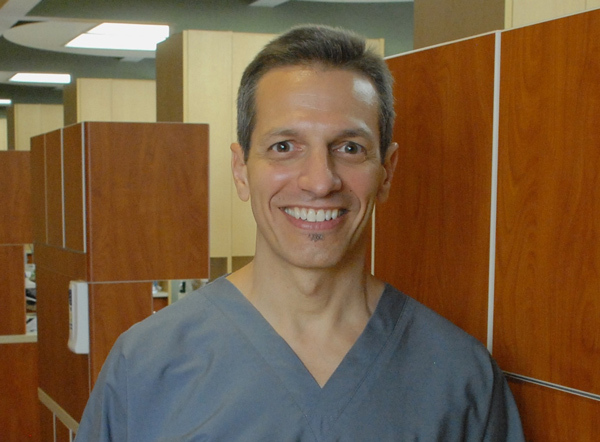 After those four years, Andrew established his business (Community Dental Center) and purchased his first dental practice, his first of several. Ten years passed before his second practice was acquired…Glendale Family Dentistry. 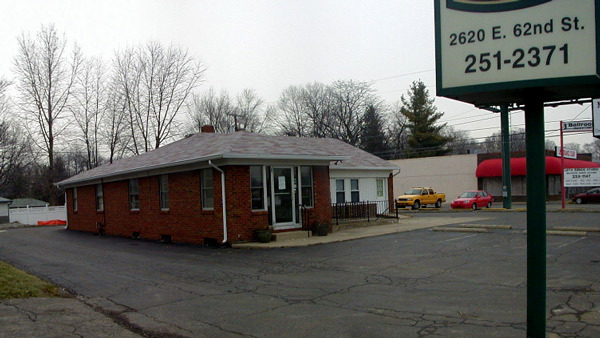 It was this location at 2620 E. 62nd Street that would become the base of several dental practice acquisitions. The existing building was “remodeled” (leveled and rebuilt bigger and better). The result is what you see today. Andrew put much thought into its design, loaded it with technology and staffed it with the greatest support team ever assembled (in his opinion). This is Glendale Family Dentistry. 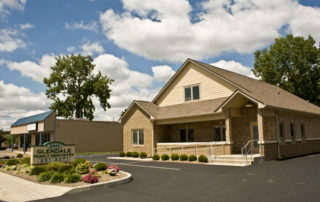 This home is where top quality dentistry is provided to patients who are like family.